Autumn is harvest time, and as harvest of field crops begins to dwindle, many turn their thoughts to Thanksgiving and Halloween. I often think about my grandparents at this time of year, remembering all the great experiences they shared with me… eating potato doughnuts on Halloween, learning about trees in the backyard, and husking and cracking black walnuts on the porch. Grandpa Trost and I liked to sit on the porch with a bag of uncracked nuts and hammer away at them. We used a 16 penny nail to clean out the shells and we often shared them with Grandpa’s dog Skipper who loved walnuts. Black walnuts are often considered a nuisance tree when discovered in landscapes, especially in cities and towns, along roadways and drives. The drop messy leaves and fruit in the fall, and the husks can stain sidewalks, driveways, and hands with their deep browns. The tree itself produces juglone, an allelopathic chemical compound that may prohibit or restrict the growth of certain plants within the landscape. While there are many plants that can tolerate this chemical in the soil, some of our favorites (panicle hydrangeas & coral bells) cannot. Despite these setbacks, I believe the benefits of black walnuts far outweighs the negatives. I have several large black walnuts in my front yard and along my parking area. I have enjoyed their beauty and their challenge. By creating an experimental garden around the base of 2 of my walnuts, I am able to verify and check the ability of landscape plants to grow underneath. Shade garden plants that thrive underneath walnuts include blue wood phlox (Phlox divaricata), turtlehead (Chelone sp. ), beautyberry (Callicarpa americana), bellflowers (Campanula sp.) viburnums (Viburnum sp. ), hostas (Hosta sp. ), wood poppy (Stylophorum diphyllum), and globe thistle (Echinops bannaticus). Black walnuts are great trees for attracting birds and wildlife to the landscape. 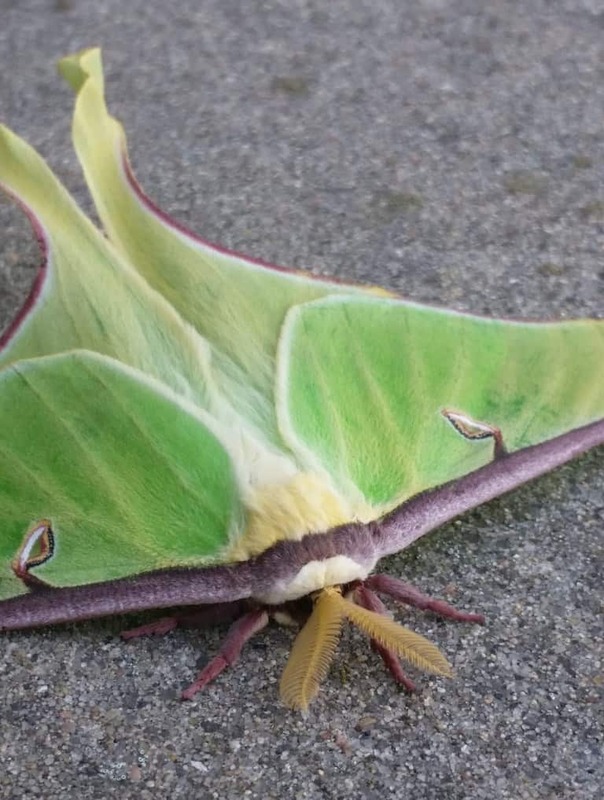 They host some 23 species of moths, including dagger moths, luna moths, and walnut caterpillar moths, many of which are consumed by songbirds including chickadees, bluebirds, nuthatches, wrens, and more. The nuts are a valuable food source for squirrels and chipmunks, which in turn become prey for owls, hawks, falcons, and larger mammals, thus linking the food chain together. They are also a beneficial food source and income for us. The walnuts can be either and acquired taste or a fondness for those of use who love them. There are many varieties of walnuts that are better for food than the typical wild tree, some have an increased nut meat content of 20% over the wild walnuts. The nuts are great in pies, cookies, candy, ice cream, and other desserts, or are great eaten raw. The raw nut meats contain several essential fatty acids, tannins, and minerals like magnesium and potassium. The wood is valued in furniture and cabinetmaking, as well as for paneling. Many people grow walnut plantations for a future sale for their retirement or their kids. The walnut hulls are used for dyestuffs and the shells of the nuts are ground down and used for making sandpapers and grits. Walnuts are also beneficial as shade trees, towering up and spreading wide when given space to grow. They can reach 100 feet tall and and wide in the right location. They are often found in bottomlands along rivers and streams. They can handle drought or floods well, and grow well in many different sites and situations. Black walnut nut meats ready to eat! If you do not have a black walnut in your yard, think about the benefits of adding one today.